Sancerre! Almost as fun to say as it is to drink! Sauvignon Blanc from one of the most special places on Earth (the eastern Loire Valley), brought to you by your happy, besotted and unusually goofy-happy friends at Last Bottle on this marvelous Sunday, because….Sancerre!!! Crazy-good price!! Rare to see these days with Sancerre pricing skyrocketing globally…! 2017 is an excellent but TINY quantity vineyard. Many producers in France (not just Sancerre) lost up to 50% of their normal production, so it’s even more astounding to have scored this crisp, revitalizing, uber-minerally, lip-smacking wine at anything close to what we have. PLEASE get some if you love classic Sauv Blanc like we do! Citrus for DAYS in this wine, tart lemon, lemon oil, with just the slightest hint of tropical fruit, but it’s all crisp and fresh herb scented, minerally and cheek-poppingly zippy, as it should be. Textbook Sancerre! What a price! Hey, where’s the oysters and smoked salmon? ---------- only a little to go around on a quiet Sunday...while it lasts…! Nicolas Girard's small vineyard is situated on the slopes of Veaugues in the Sancerre appellation of the Loire. The 5 to 25-year old vines benefit from better drainage as well as greater exposure to the sun. 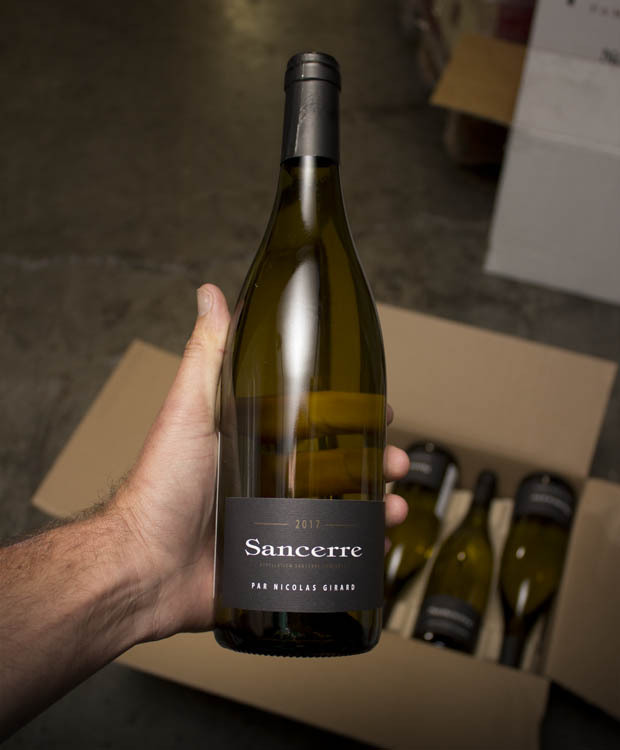 The soil, made of clay and chalk, give the structured, firm mineral style expected of Sancerre. Nicolas Girard also makes wine for his family’s estate, Domaine des Brosses. In addition, he owns 3.5 hectares, from which he makes his own wines. This vineyard is situated on the hillsides of Veaugues on well-drained clay and limestone soils. Pairs well with oysters, smoked salmon, steamed clams, and goat cheese!